Wayward helicopters are probably very low on the list of things professional cyclists have to worry about, right down there with crashing in the finishing chute. However, a scatterbrained helicopter pilot managed to combine both at the Vuelta a España yesterday. 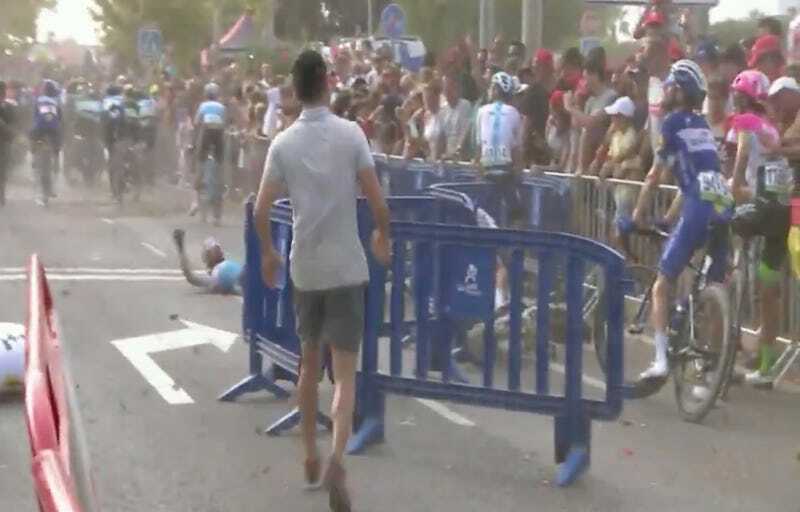 Said pilot must have forgotten that his blades cause a strong wind, which pushed an unsecured barrier into the exhausted peloton and brought a few riders down. AG2R’s Julien Duval, who is last overall, had to get two stitches, because, once again, a helicopter messed everything up.